. . . Daniil Trifonov's trademarks include an extraordinary, inspired intensity mingled with a veritable flood of insight and imagination . . . The Fenice concert presents fine playing throughout, from the charm of the Rondo to the melodic outpourings and high drama of the Sonata . . . [in the Carnegie recital] Trifonov's levels of energy and inspiration would probably be enough to fuel at least two usual pianists. His sensitivity to atmosphere, voicing and fleeting textures allows Scriabin's Sonata No. 2 to burst into colourful and fantastical flame; the Liszt B minor Sonata progresses like a great novel unfurling, with an unerring pace to the drama; and the Chopin Preludes are filled with limitless magical detail. One could pick out the marvellously long lines in the E minor or the A flat major preludes; the pointillist fingerwork in the D major and C sharp minor; his rapt, mysterious pedal effects, an artform in itself. Every piece has a defined soundworld; nothing is repetitive; each feels lit from within, as if improvised on the spot. This is a treat and a half. Watch out for the name Daniil Trifonov, the latest in a long line of Russian prodigies . . . Although Trifonov apparently has every technical tool at his disposal, these recordings stand out for their beauty of tone, intimacy, clarity and delicacy. The first CD has a variety of Chopin pieces, culminating in a dazzling third piano sonata. The later CD has Scriabin's "Sonata Fantasy", Liszt's "Piano Sonata", and the Chopin Op 28 "Preludes". In the Liszt he provides remarkable clarity of articulation at top pace, but it is the poetry and musical sensitivity that stands out. This is intimate Liszt, not the impassioned sturm und drang of many interpreters; like a swan, all the effort is below the surface. 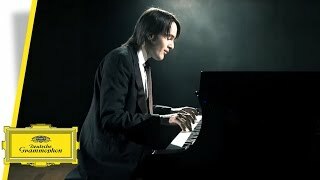 The Scriabin, too, is beautifully played and elegantly understated.
. . . two live recitals that show pianist Daniil Trifonov to be a rare talent . . . two discs of some of the finest live music making . . . Trifonov finds some lovely rhythmic qualities in Chopin's Rondo "à la Mazur" in F major, Op.5 bringing a lovely playfulness, full of character together with his beautiful touch, so light and delicate. There is an insight and thoughtfulness here and a fine surge of power towards the end. The Grande Valse Brillante in E flat major, Op.18 has lightly sprung phrases combined with an amazing dexterity. There is tremendous playing here with a fine rubato, and some fine shaping of phrases. The same tremendous fluidity is given to the Etude in F minor, Op.10 No.8, a quicksilver, fleeting vision. In the "Andante Spianato et Grande Polonaise Brillante", Op.22 Trifonov brings a beautiful right hand theme trickled over a fluid left hand line, a gently conceived performance, full of atmosphere. Trifonov delivers some most exquisite playing with fine control and colouring of phrases and a lovely intimacy and spontaneity. He delivers a fine control with some lovely little details with a marvellous fluidity and delicacy. There are some fine dynamic passages, full of power and what a lovely rubato he has . . . [Scriabin]: Here is playing of the utmost sensitivity and understanding. He rises to moments of great passion so naturally bringing sublime music making. He follows with a brilliantly impressive Presto where his superb touch and articulation is to the fore. We need to hear more of Trifonov's Scriabin . . . There is so much depth and understanding in this very fine performance of Chopin's multi-faceted Preludes . . . The live recording is excellent in every way. Applause is kept in after the Preludes and after the encore. In these two recitals Daniil Trifonov shows himself to be a rare talent that I look forward to hearing much more from. 'Last night I listened to him again on YouTube -- he has everything and more. What he does with his hands is technically incredible. It's also his touch -- he has tenderness and also the demonic element. I never heard anything like that.' These are the words of Martha Argerich no less, and I have to say I couldn't agree more . . . I, too, have been watching the YouTube clips, and am astonished by what I have seen and heard . . . For the Carnegie Recital, Trifonov offers a programme of composers he clearly has a great affinity with . . . [Scriabin]: The playing has beguiling luminosity, and the contrast between volatility and calmness are unquestionably realized . . . the delicate, diaphanous pianissimos are breathtaking . . . [Liszt / Piano Sonata]: What distinguishes this performance for me is the artistic maturity on display in one so young. Trifonov has a complete understanding of the structure and architecture of the music. His is a dazzling technique, utilizing a wide dynamic range. Whilst there is fire and passion, on the other side of the coin there is eloquent lyricism and a wealth of poetic insights . . . [Chopin / 24 Preludes op. 28]: Trifonov showcases the diverse range of these twenty-four gems. He doesn't approach them as mere superficial miniatures, but as individual pieces, which Chopin calculated to perfection. Quite remarkable is the pianist's attention to detail and the delicacy and refinement in his playing . . . [what we have on display on the second CD] is not just dazzling virtuosity, but a searching penetration of the music. It is this combination of poetry, imagination, subtlety, nuance and inspiration which makes Trifonov stand head and shoulders above many of his young colleagues. He seems just made for Chopin's music . . . This release has been a revelation, and leaves me wanting more. As well as nominating this as a "Recording of the Month" it will also rank for me as one of the highlights of 2015.
. . . the teasing "Rondo á la mazur", in a wonderfully fluent, spontaneous performance, is set against the Op 18 "Grande valse brillante" in a reading that mixes delicious hiatus with a properly leggeiro touch. The Etude is light and technically amazing . . . The three Mazurkas Op 56 act as an eloquent preface to a fine Chopin Third Sonata. Here, the twilit, gentle first movement and the mesmeric Largo, with its finely judged sense of light and shade, speak of a maturity one rarely associates with the concept of the super-virtuoso . . . the real riches of this set lie in the Carnegie recital . . . The Scriabin Sonata Op 19 finds Trifonov playing as if he breathes this music, his articulation miraculous, only eclipsed by his projection of the very soul of the music. His Liszt Sonata S 178 is one of the finest . . . The infernal side of Liszt is to the fore, yet there is lyricism aplenty. Trifonov is an unstoppable force here . . . A flighty Medtner "Fairy Tale" is a great encore.
. . . it's the unwavering "musical" focus on these performances, to match his often astonishing lightness and dexterity, that impresses. A pianophile's "must-have".